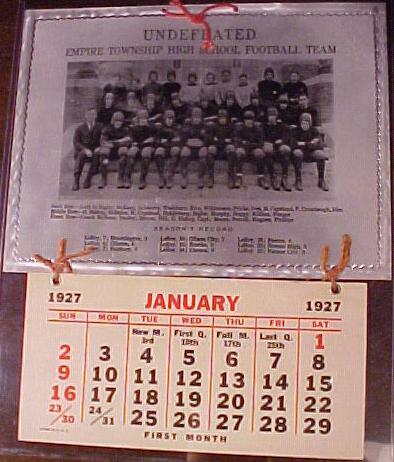 1926/27 Empire Township Football team calender.Shows the UNDEFEATED football squad(including my Grandpa! ).Of particular interest is the picture part of this item is metal.. . .